The California Chamber of Commerce today applauded the U.S. Supreme Court’s decision in Arizona State Legislature v. Arizona Independent Redistricting Commission, et al. 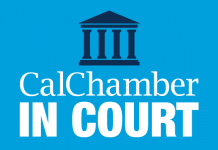 “Today’s decision removed the conflicted legislature from the redistricting process and upheld the will of the people via the initiative process,” said Allan Zaremberg, CalChamber president and CEO. “The ruling affirms California’s commitment to the voters to have competitive congressional districts. Politicians will only win re-election if they have earned the support of voters,” he said. The CalChamber, former Governors Deukmejian, Wilson, and Schwarzenegger, Charles T. Munger, Jr. and Bill Mundell jointly filed an amicus brief in the case supporting the constitutionality of Arizona citizens’ decision to have congressional voting lines drawn by an independent redistricting commission rather than by legislators. A similar commission was formed by California voters in 2010. The case heard by the high court involved a constitutional challenge by Arizona state legislators in the wake of a vote by the people of Arizona in 2000 to form the Arizona Independent Redistricting Commission. 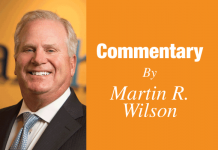 Arizona state legislators contended they alone had the authority to determine the lines for congressional election districts and filed a lawsuit challenging formation of the independent commission. The matter was appealed all the way up to the high court. The Arizona case threatened the will of California voters who passed Propositions 11 and 20. “Today’s decision is good news for California voters who wanted to end the inherent conflict of interest when legislators drew self-serving district boundary lines following each census. The lines drawn by California’s Citizens Redistricting Commission have resulted in the fairest and most competitive elections in California history,” said Zaremberg.